What a team up! Create your own clear epoxy accents with ribbon? Yes please! May Arts Ribbon has teamed up with Epiphany Crafts for a week long blog hop showcasing how products from these two companies work so well together. With the end of the school year slowly approaching, I got a head start on teacher gifts by creating some bookmarks. 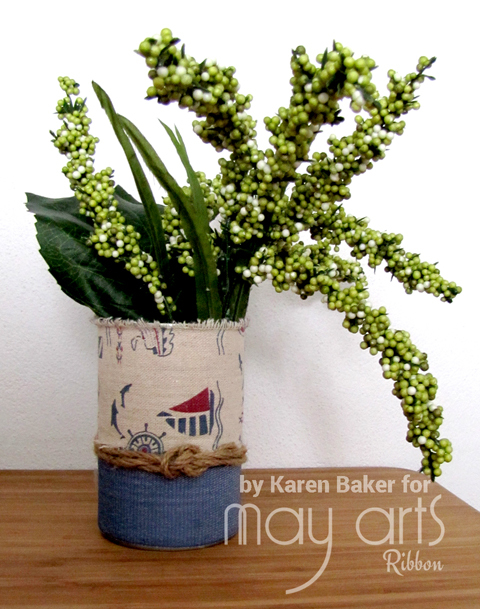 I simply created a clear epoxy accent using Epiphany's Shape Studio Oval Tool and Accents and the May Arts 468 series ribbon, 2.5" Cotton Blend/Vintage Print in Garden. I then adhered a large paperclip to the back of the accent using hot glue and hid the glue with a bow of May Arts Silk Ribbon in 1/4"-SK-4 Series (Pink and Antique Gold, respectively) along with coordinating Burlap Ribbon-SM Series (Natural and Cranberry, respectively). I also made a coordinating card using the Oval Tool and the same ribbon! Here's a complete line-up of the hop, be sure to stop by the May Arts Blog and comment for your chance to win products from Epiphany Crafts and May Arts! May Arts has a whole slew of fabulous new ribbons available for Spring/Summer 2015, and they have a two day inspiration hop to showcase them! I'm the last stop for the day. I received the amazing 468 series ribbon, 2.5" Cotton Blend/Vintage Print in Nautical and Garden, to showcase and I took advantage of the wide width for my projects. 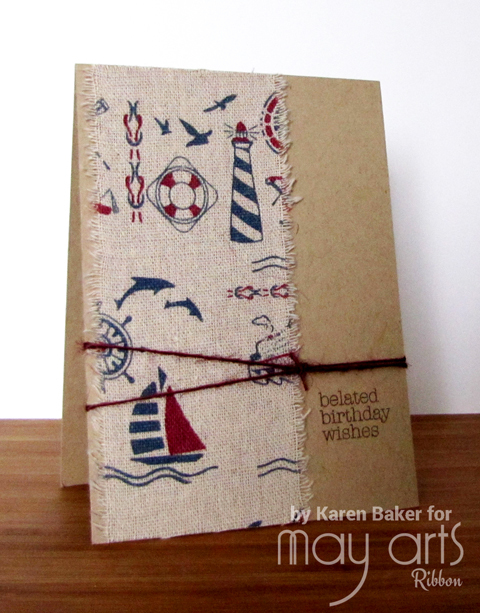 My first project feature the ribbon with the trendy, vintage nautical print. This print is perfect for simple, masculine decor! I took a cleaned, tin can and covered the top portion with the nautical print and added a strip of denim ribbon on the bottom. I combined the two together with a knotted row of thick, burlap twine. 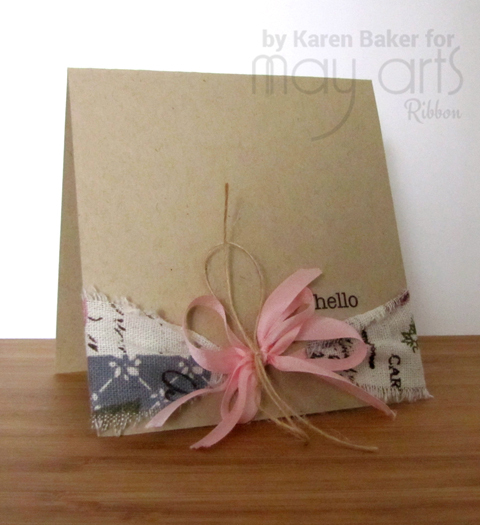 The following two projects feature how easy this wide, patterned ribbon is to use on greeting cards. 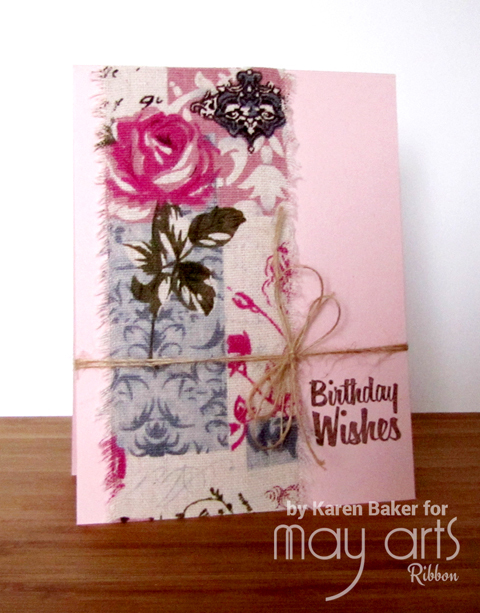 I took advantage of the amazing prints and substituted ribbon for patterned paper by simply adhering the ribbon to a card base with double sided adhesive, stamping a sentiment and finishing the card with burlap string bow and knot. As usual, there are prizes! Three winners will receive 1 roll of the new release! I hope you enjoy the hop today and tomorrow. Here's a line-up for both days, but be sure to check out full details over on the May Arts Blog! 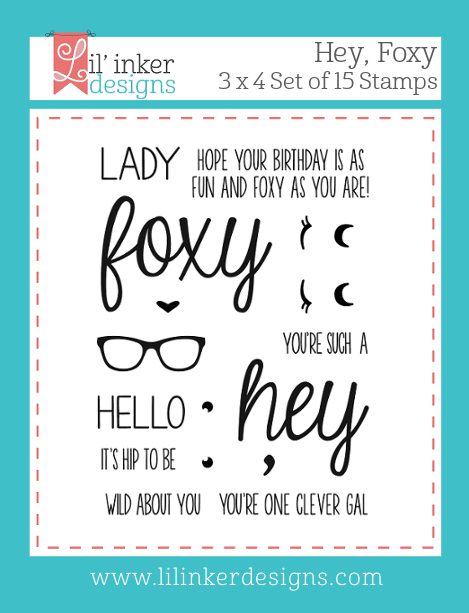 Welcome back to the third and final day of the March New Release Hop for Lil' Inker Designs! The products and inspirational projects are amazing, aren't they? You should have arrived from Lea Lawson's amazing blog if you are following the hop! 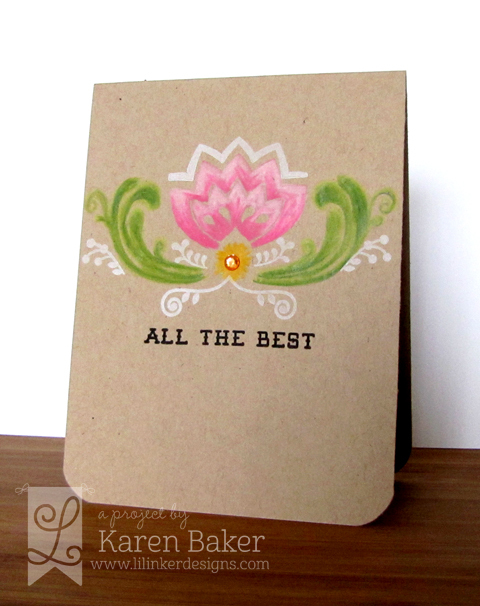 My first project showcases the truly beautiful and trendy Really Rosemaling Stamp Set. 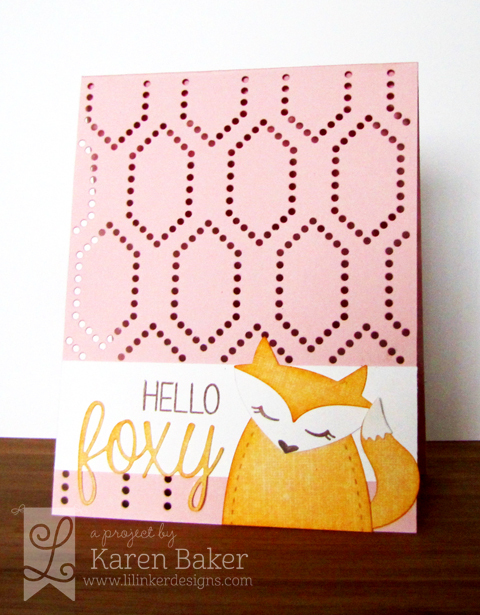 To create this look, I stamped a few basic pieces with pigment ink onto kraft cardstock. I then went back and added some shading details with colored pencils. I finished the piece by stamping a few white details and the sentiment in black, and rounded the corners. The possibilities are truly endless with this nordic inspired stamp set. My final project of this release features our new Wonky Squares! 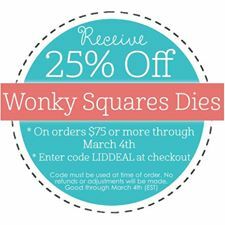 There is an amazing incentive going spend $75 in the store and receive 25% off Wonky Squares by entering code LIDDEAL at checkout. I created a background using the smallest and second smallest Wonky Squares and added a sentiment strip stamped from the Really Rosemaling Stamp Set. Your next stop is Chrissy Larson! Be sure to stop by the Lil' Inker Designs Store to see all of the new goodies! As usual, there are prizes up for grabs so please be sure to leave a comment at each stop for your chance to win! 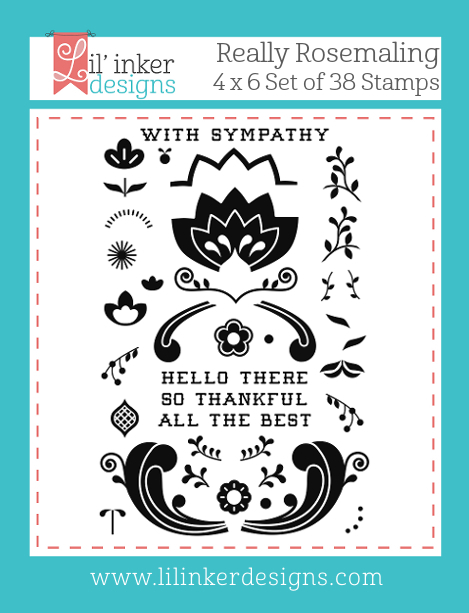 Welcome back to the second day of the March New Release Hop for Lil' Inker Designs! You should have arrived from Lea Lawson's amazing blog if you are following the hop! I have one project to showcase today, but it combines four amazing new products! 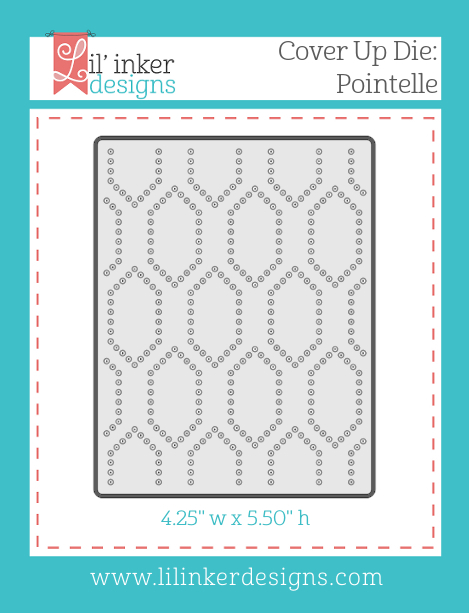 I first created an intricate and unique background by making on pass through my Cuttlebug with the Cover Up Die: Pointelle. Cool, right? I then added a sentiment strip where I stamped a coordinating sentiment from the Hey, Foxy Stamp Set and die from Hey, Foxy Word Dies. I then created my cute little critter so easily with the Hey, Foxy dies. Your next stop is Jennifer Carter! 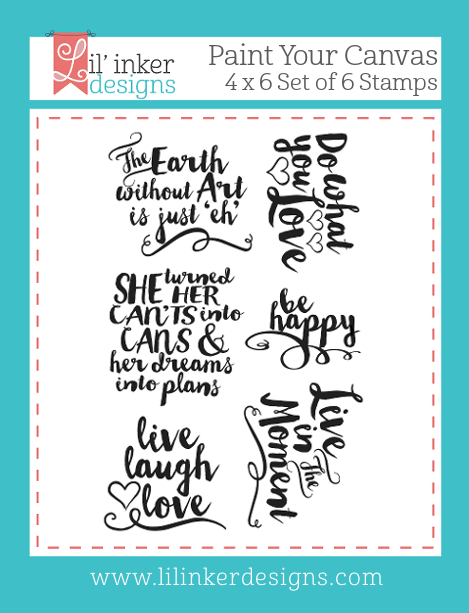 I always love when we have a New Release Hop for Lil' Inker Designs! This March Release is exceptional, like all the others are, but truly, I adore this month's products so much! You should have arrived from You should have arrived from Lea Lawson's amazing blog if you are following the hop. 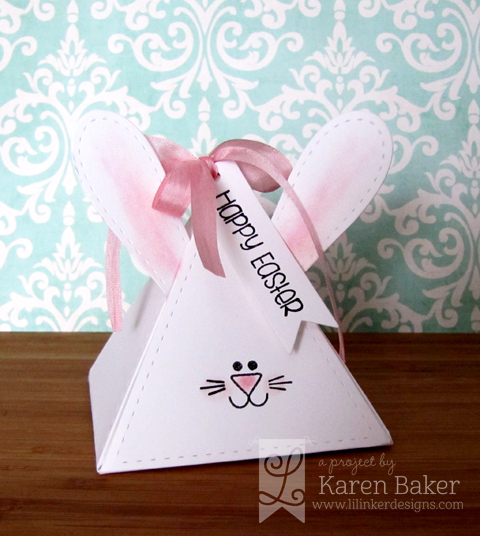 First up to show you is an adorable Easter Rabbit gift made from the Triangle Treat Hold Die with Bunny Treats Dies and Stamps Bundle (the stamps are sold separately too!). Seriously, this was so easy and quick. I die cut the treat holder, stamped the face and assembled the bunny. The treat holder is held together with some May Arts Silk Ribbon and a greeting tag made from Lil' Inkers Designs Original Sentiment Flag. Next up I have a project that I can to take to work and switch out every now and then. 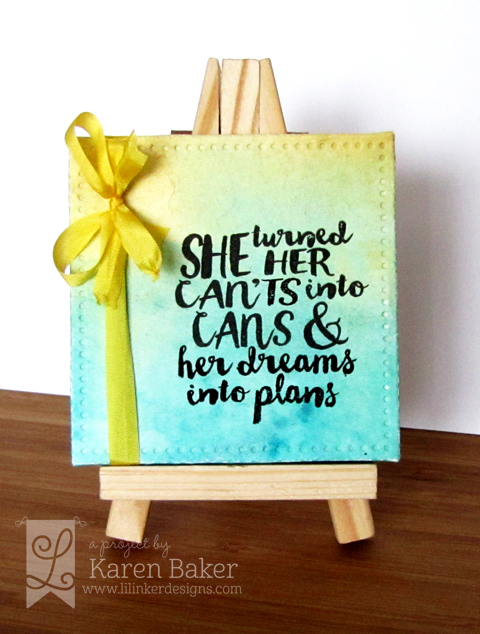 It is an inspirational piece that rests on the new mini easels available at Lil' Inker Designs! 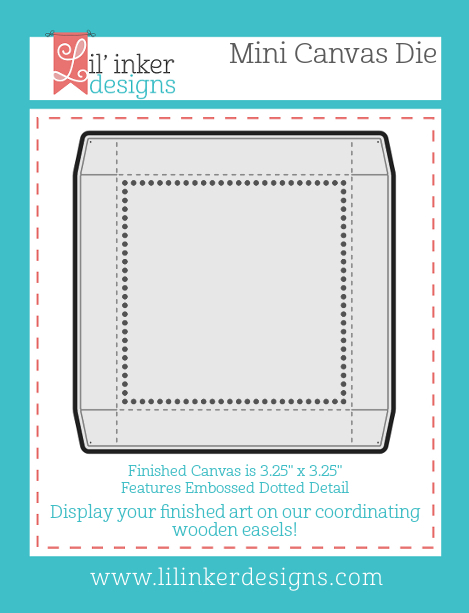 I created the mini canvas from colored watercolored paper and die cut it with the Mini Canvas Die. I stamped a sentiment from the new set, Paint Your Canvas. 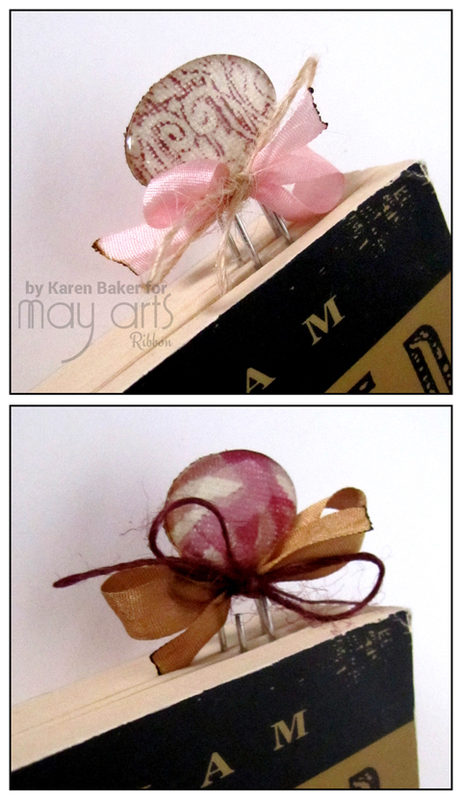 After assembling the die, I wrapped and tied a bow with May Arts Silk Ribbon and it rests so nicely on the mini easel. This combo perfectly meets the needs of a crafter trying out new mediums or techniques! I'm the last inspiration stop on the hop, so your next stop would be the Lil' Inker Designs Store! As usual, there are prizes up for grabs so please be sure to leave a comment at each stop for your chance to win!